Bruxism, also known as teeth grinding, teeth clenching and teeth gritting, is the third most common sleep disorder in both adults and children. Bruxism is a habitual condition, which means that it quickly becomes a habit in one’s life that becomes very difficult to break. The problem with bruxism is that even when the original trigger goes away, the new disorder often does not. So if someone develops bruxism during a time of high stress, and then the stress dies down, the teeth grinding and clenching can already be so unconscious of an action that he/she may find it difficult to eliminate. How to Stop Grinding / Clenching Teeth? 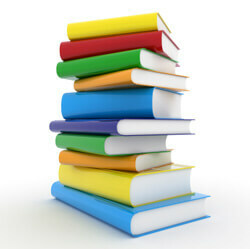 Step 1 – Learn the Possible Causes! However before we go on to examine the different ways by which we can control and even completely cure bruxism, we need to know the things that actually cause it to occur in the first place. Stress – Stress is said to be the biggest cause of bruxism. In fact it has been found that cases of bruxism have actually gone up during the recession period. People who react negatively to stress show more prevalence towards bruxism. Stress-related bruxism has been found to occur more in females than males. 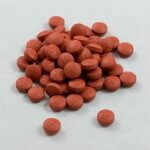 Medications – Medications such as anti-depressants can also make a person grind their teeth. Diet – Diets rich in sugars, caffeine and alcohol can disrupt sleep patterns and cause some of us to start grinding our teeth. Misaligned teeth – Sometimes, misaligned teeth can also cause impulses to be sent to the brain, which can in turn cause specific muscle groups to contract, resulting in bruxism. It is strongly recommend to learn all about the mental ,emotional and physical causes of bruxism. Please read teeth grinding causes article for further information. Step 2 – First Get a Mouth Guard – Prevent Further Damage! 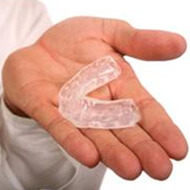 Occlusal guards or splints (also known as night guards, mouth guards, occlusal splints and bite plates) are like sports mouth guards, but are molded to fit the contours of the teeth, rather than one-size-fits-all. They serve to protect the teeth from bruxism (grinding or clenching) and prevent further damage. Severe damage can occur if bruxism is left untreated. Don’t wait for the damage to become severe. Save your smile or your loved-one’s smile. 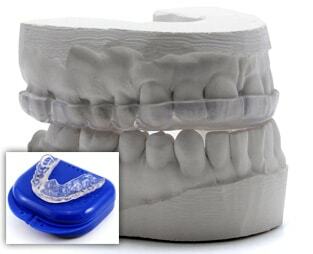 Feel free to browse our list of Top 10 Mouth Guards for Grinding Teeth. Reduce stress – Stress is a major cause of bruxism and TMJ. You don’t just take it to heart; you take it to your teeth as well. 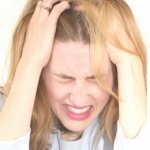 One thing is agreed on by all the experts: tension in your personal life and around you is a major contributing factor of bruxism and TMJ and there are useful and natural ways to reduce it. 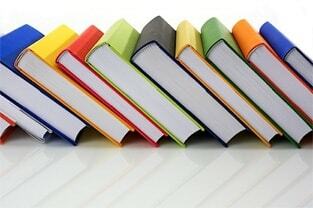 For further information please read Methods and meditation to decrease stress Article. Your diet – Vitamin and mineral deficiencies play a part in bruxism and TMJ. Find out which vegetables, herbs and other food or diet supplements (especially magnesium) you need to add to your diet. For further information please read What About Your Diet? Article. Sleeping well – This is perhaps one of the most important factors in solving a problem with bruxism. Many studies have conclusively found that sleeping better has a direct effect on the reduction of teeth grinding, so be sure to invest in a good quality mattress. The surrounding temperature also effects how well we sleep. If possible, regulate it based on your sleeping pattern by using air conditioners. It’s best to be neither too cold nor too hot. Go for a comfortable temperature that you like. 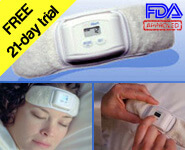 For further information please read Natural ways to improve sleep article. Tongue exercise – For people with daytime bruxism, it is recommended that they practise a new habit, specifically designed to impair clenching when a person is not speaking or eating. Put the tip of your tongue at the top of your mouth, very close to your front teeth, as if you are about to say “nnnn”. This prevents your jaws clenching. If you set an alarm on your cell phone, it can serve as an easy reminder to you to assume this tongue position repeatedly throughout your day, until it eventually becomes an unconscious habit. Yawning exercise – If you feel that your jaw muscles are cramped or contracted, yawn a few times in order to stretch those muscles. Jaw massage – If you are still in pain, try a jaw joint massage: press gently with your fingertips on the muscles of your jaw joint and make small circles. Do not clench your teeth while you are doing this. One very effective way to do this massage is in the shower with warm water running on the sensitive areas, while you massage the area gently. Thumb massage (Chinese healing technique) – One point on your face that can help reduce tension and pressure in the facial muscles is the point between your eyebrows. Press on it with your thumb and do nine circles clockwise. Oil massage – In order to diminish tension and relax the jaw area, you may find that some warming, stimulating oil such as cinnamon, rosemary or lavender oil, soothes and numbs. Dip your fingertips in the oil and gently massage your cheeks and jaw. You can also do this by tapping lightly on your cheeks and jaw with your fingertips. Warm compress – For further pain relief, soak a facecloth in warm to hot water. Wring it out, and hold it against your TMJ (jaw) joints until it has cooled. For further information and more exercises including acupuncture, Please read Bruxism Exercises article. 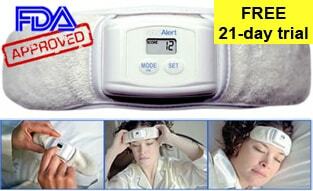 Natural biofeedback – Try ‘natural biofeedback’ – ask your spouse or partner to wake you when you brux. Once you are awake, visit the lavatory and ensure your nightclothes and bedding are comfortable. Of course, this applies the other way around when it is your spouse, partner or child that is the bruxer. On one hand, this method interrupts sleep and might mean the bruxer is tired in the morning, if they have been woken several times in the night. On the other hand, if a full bladder or an uncomfortable bed is indeed the cause of the bruxism, the bruxer should only need to be woken once or twice and will benefit from better sleep afterwards. Nose obstruction method – One known method to prevent night bruxism is nose obstruction. This is when breathing through the nostrils is partially blocked. This cure is a surprising one, because other people with deviated nasal septums claim that their bruxism is related to their blocked nose! However, the fact remains that certain individuals with clear nasal passages have reduced their bruxism by partially obstructing the nasal airways. Strange, but true! Tape is placed across the nostrils, with two small holes pierced in the tape in the place of each nostril. Some people block their nostrils with toilet paper or a swimming plug instead. This method apparently forces the sleeper to breathe through the mouth, thus the mouth is constantly slightly open and not bruxing. There are risks to this method – it should NOT be attempted if the sleeper has consumed alcohol, has trouble breathing through the mouth in general, or has a cold. Mouth-breathing also leads to a dry mouth in the morning. Speak to your doctor before trying this method, and only try it at your own risk. Daily Plan – A suggested daily plan, with bits and pieces taken from all the treatments articles. Enter here. 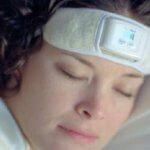 The most effective tool for stopping Bruxism once and for all is the Biofeedback treatment, the most advanced of which is the SleepGuard Biofeedback Headband. The biofeedback technology in the headband works by first detecting an involuntary physiological activity or function, and then works to control it. Once users have used the SleepGuard Biofeedback Headband to do some training during the day, they are able to fully realize the benefits of biofeedback technology while they sleep. This day-training is necessary because it helps to trigger an individual’s Pavlovian response (a type of behavioral conditioning) to the biofeedback signal even when he or she is sound asleep. Once the person’s jaw muscles start clenching and their teeth start grinding, the biofeedback technology becomes aware of these motions and sends out an audio signal that gradually becomes louder and louder until the person’s sleep is disrupted, just long enough to stop the teeth grinding. l am keen to know about bruxism because it has been an embarrassing problem for me for some time now- 8yrs. And l want a cure for it. lt would be a dream come true if it can be eliminated. l am in Fiji so l would visit a dentist for advice and treatment. The best treatment for bruxism is to make it a habit of sleeping on your back. Sleeping on your side or stomach WILL cause bruxism. Why? In those positions you are putting pressure on your jaw and misaligning it. Daytime bruxism is almost always the result of nighttime bruxism as your jaw is attempting to realign itself. Sleeping on your back puts you jaw in a relaxed position. If you make this a habit, you will feel the bruxism fade away.